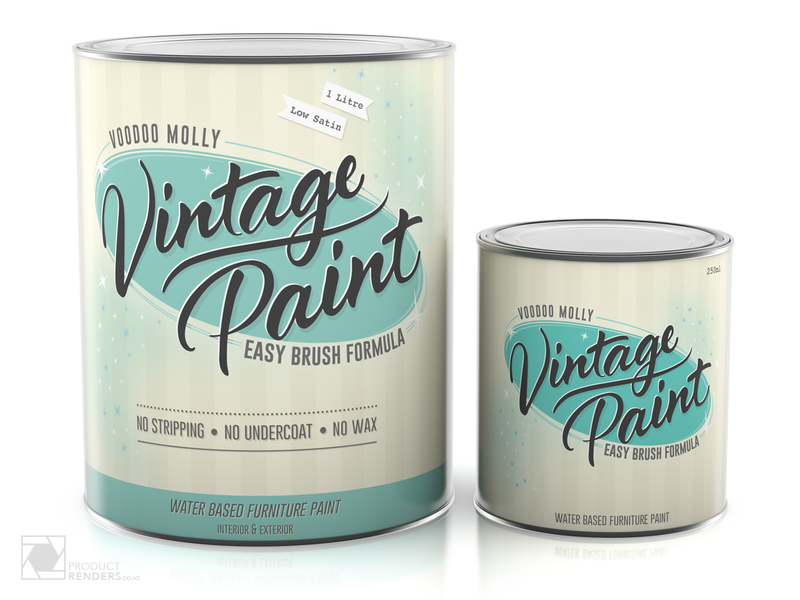 Voodoo Molly’s first paint product hit the shelves in early 2014. From then its been a rapid growth for this New Zealand owned and operated company. Now, almost 4 years later, they have over 20 products including industry-leading paint innovations and furniture restoration products. But, as many companies will confess, with growth comes costs. This is the point that ProductRenders came into the mix. Voodoo Molly wanted world-class packaging imagery but really didn’t want to pay the very expensive and inconsistent photography rates every time they designed a new class-leading product. ProductRenders created a standard 1 litre, 500mL, 250mL, test pot and zip-lock bag and now every time a new product is developed its as simple as adding a new label and click, its ready for rendering. 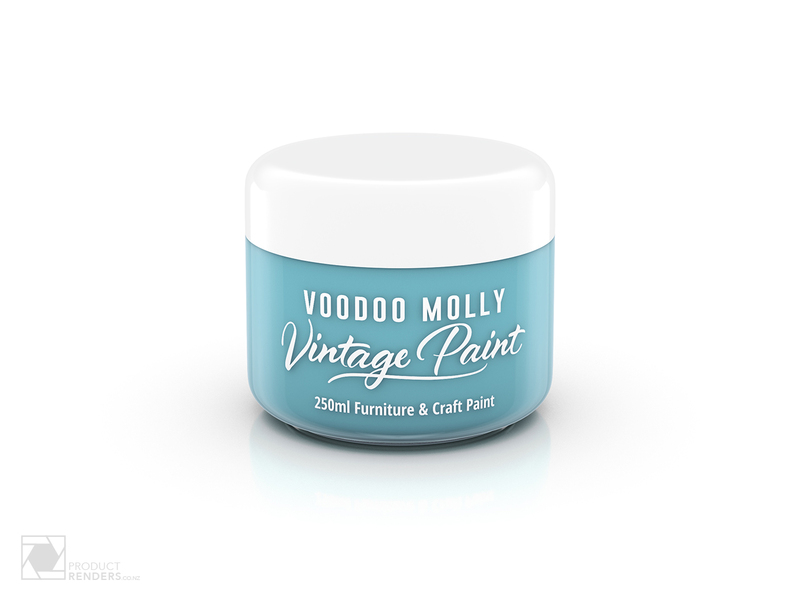 This process is perfect for the Voodoo Molly product line and means every image is perfect every time without hours of photography and retouching. More about the rapidly growing New Zealand company and their awesome products can be found here.